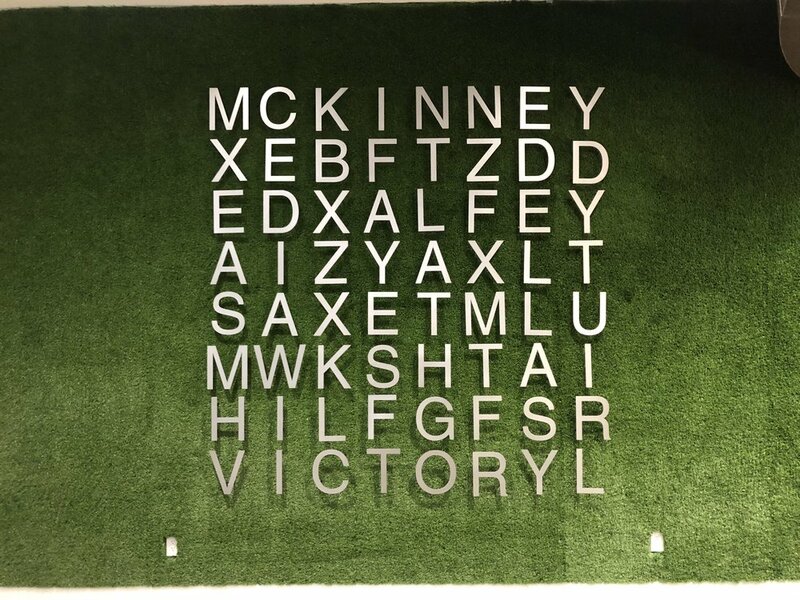 Art Dallas was recently asked to hang these gorgeous metal cut letters in the Dallas Uptown area! 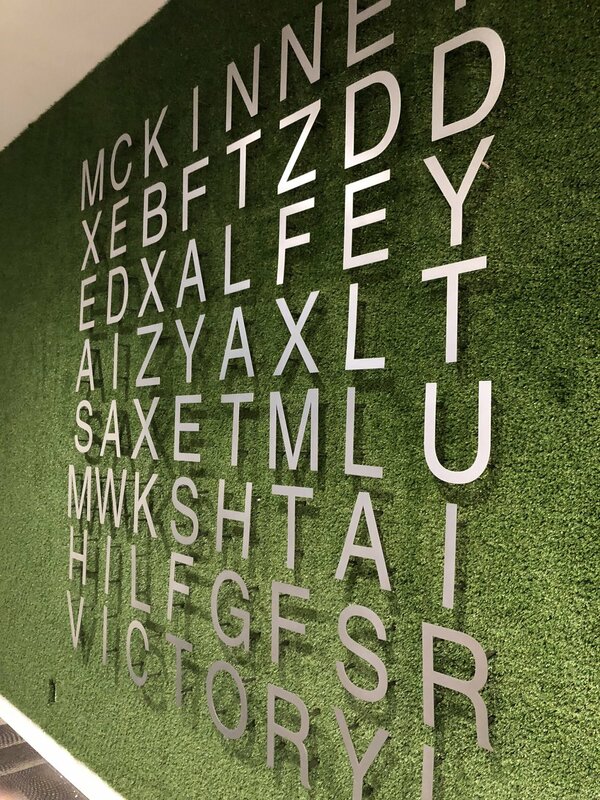 The letters were hung on an Astroturf wall to create the perfect juxtaposition between nature and metal. Sculptural works of art in a variety of shapes, sizes, and colors enlivens and activates a neutral space. Mixing metals with earth tones not only provides a nice, light quality, but also brings the "je ne sais quoi." This space opened the room while giving structure in the form of an art installation. This style is the design addict’s must-have; understated for a room yet hyper-chic! We love that this space made this the statement piece; there's life to the design. One of the most fun remodels for 2018 is a refocusing on art pieces toward rich metallic tones: deep coppers, bronze, gold, and of course a crisp silver.